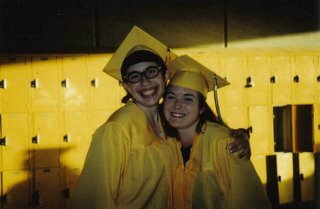 On March 23, 2003, a friend of mine took her own life unexpectedly. This story was covered by several news agencies around the country–including the San Francisco Chronicle (click here for the story) and Oprah. Six years later, her family is still on a mission to ensure that those who use the Internet as a way to coerce others into committing suicide are punished. Please take a few minutes to write to your Congressman regarding H.R. 853: “The Suzanne Gonzales Suicide Prevention Act of 2009”. It is currently going through Congress, and it is a great piece of legislation! Please pray for her family, as this will no doubt be another rough day. Pray also that their mission to hold people accountable for their actions on the Internet is successful. Let’s do everything we can to prevent another tragic loss of life. I wrote this one year after the tragedy, if you want to read it. It has been one year…one year since that heartbreaking day when a young life was taken so suddenly…so tragically…the life of a girl I had known since fourth grade…a girl who went trick-or-treating with me…helped with our “Jump-Rope Olympics” in fourth grade…my friend in G.A.T.E….someone who could always make me smile, always make me laugh with her. Suzy was bright, funny, unique…everyone knew who she was…she was extremely talented in so many areas…Suzanne was a truly beautiful person in so many ways; but she did not see what everyone else saw. She was one of the people who mocked me incessantly for years because I would not kiss Casey Coffman in the sandbox…Casey “asked me out,” and after we had been dating for awhile (who knows how long it really was) he said that in order to be really girl-friend/boy-friend, we had to kiss. He told me to meet him at the sandbox at lunch one day…I took two friends with me to avoid kissing him, Suzy being one of them. They never let me live it down that I would not kiss him. High school did not grant us as many opportunities together, but our friendship was still strong. We had several classes together…I loved to hear her insights, as they were often deep and profound. Whenever we met in the halls, she would stop and say hello…little did I know that I would never get to say goodbye. Her memorial service that May was filled to capacity, with many, myself included, standing. My pastor of 15 years officiated, which was a great comfort to me. It was a time of laughter and remembrance as we recalled stories and viewed pictures of this precious young woman’s life…so short, someone abruptly taken from us. She asked, in her online journal, to have this song played at her funeral…if you know the story behind it, you will see the thick irony…James Taylor wrote this after his friend, Suzanne, committed suicide while he was on tour…it was played at her memorial service, while photos were displayed on the screen. I know I’ve posted about this quite a bit in the past three years, so I won’t say much this time. Tomorrow is the third “anniversary” of Suzy’s death, and though I’ve grieved and dealt with it, nevertheless it makes me feel sad. I will still wear the red polka-dotted ribbon that was given at her memorial service tomorrow, because it just feels right. I just ask that you pray for her family, as this will no doubt be another rough day. Pray also that their mission to hold people accountable for their actions on the Internet is successful. Thanks to Oprah, millions of people were able to hear about this horrible tragedy, and they were made aware of the groups that are out on the Internet, seeking their prey. Pray that they have an impact with this message! My friend Suzy’s parents and sister were on Oprah today, as they are trying to fight the people/website that led Suzy to take her life. It’s been nearly three years since she died…I can’t believe it! Check out what her parents had to say by clicking on the link above. I’m so glad that they had this opportunity to get their message out there–millions of people watch Oprah everyday! This is an article about my friend Suzy who committed suicide almost 3 years ago. I found the link on the cnn.com frontpage…it’s worth a read! Update: Thanks to Paige for finding the article! Sorry for not giving credit before 🙂 I really appreciate you remembering about Suzy! Today is the second “anniversary” of my friend Suzy’s suicide…I can’t even believe it. Rather than type a similar post to last year’s, here is a link to what I wrote last year. Please read it if you have a chance. She was a wonderful friend, wonderful person. The world is not the same without her.